I have long wondered whether the two stories featuring the Yeti (The Abominable Snowmen and The Web of Fear) are worth mourning. If you don't count their cameo in The Five Doctors, we have a monster who was popular enough for a return engagement but which have no complete stories in existence. We do have some pluses with The Web of Fear, in particular the first appearance of then-Colonel Lethbridge-Stewart, who would go on to be a vital part of the Doctor Who mythos. 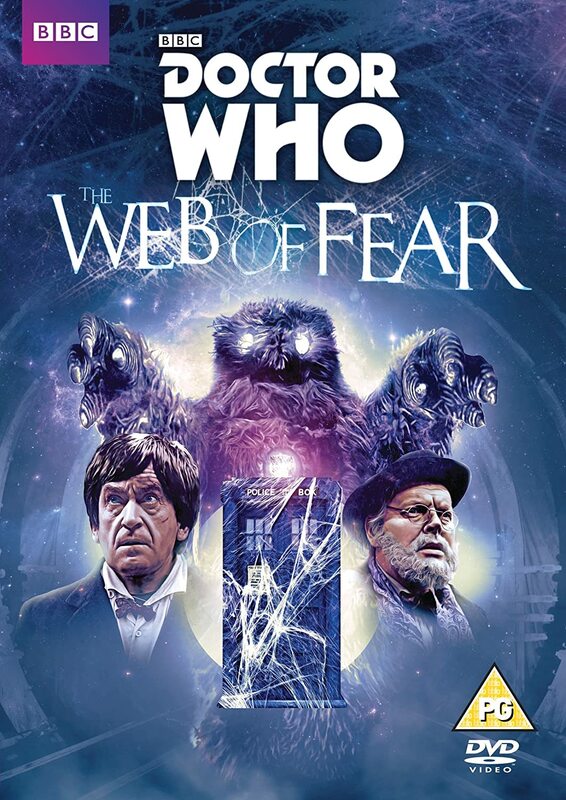 Judging from Episode One of The Web of Fear (the only one known to exist), I think it is probably a better story than the first Yeti one, although at six episodes maybe an episode too long. It's been thirty years since the events of The Abominable Snowmen, and Professor Travers (Jack Watling) is now a little soft in the head. He knows that the Yeti he's brought with him is now alive again, but he cannot convince anyone of this. Meanwhile, the Doctor and his Companions Victoria Waterfield (Deborah Watling) and Jamie McCrimmon (Frazer Hines) are having troubles of their own. After barely having survived an attempt to kill them by Salamander from the previous story The Enemy of the World, they again barely escape being trapped within a mysterious web. They do manage to land on Earth, and eventually find they are in the London Underground (which is not a political movement). There is evil afoot: the city is eerily silent and bodies are encased in a mysterious web. Meanwhile, Professor Travers and his daughter Anne (Tina Packer) are working, somewhat reluctantly, with the Army to stop this growing menace. Victoria, Jamie, and the Doctor wonder about wire being laid out on the subway tracks, and they split up: the Companions following the soldiers laying down the wires, the Doctor in the other direction. Soon, a familiar and frightening beeping grows. Episode One ends with Victoria and Jamie captured (thanks to Victoria's Victorian screaming at coming across cobwebs) and the Doctor apparently getting some kind of jolt from explosives that the Yeti had sprayed with their web-making device. In the great scheme of things, I think having a six-part story on the heels of not one, not two, but THREE six-part stories (The Enemy of the World and the stories immediately preceding it, The Ice Warriors and The Abominable Snowmen) might have simply been too much to ask of audiences. I have never believed that The Abominable Snowmen warranted such a long story, and while I think The Ice Warriors and The Enemy of the World might have done better at such a punishing length that's still a bit iffy. There are certain factors to consider. For example, The Ice Warriors introduced one of the better villains/monsters of Doctor Who, and The Enemy of the World had both political intrigue and a great turn by Patrick Troughton. The Web of Fear only has the Yeti, who granted appear better and more menacing here than in their debut (in other words, they don't appear cute and cuddly like last time) are still not one of the better monsters in the canon. From the vantage point of someone who has only seen the surviving episode, I think it has quite a few things going for it. First, it has a great dramatic reappearance of both the Yeti and the Professor, so we know almost from the start that something wicked this way comes. On that point, I think it might have been better if we had expanded on having the Yeti brought back to life rather than just jump in. One might think I was talking out of both sides of my mouth: complaining about the story's length while asking that one aspect be expanded. No, that's not what I'm saying. Rather, I'm saying that in that individual episode the mystery of whether or not Travers was really crazy could have been worked out better (even though logically we know he isn't). It might be in the intrigue of who is the 'traitor' that we might have cut down. Second, we are allowed a darker story. I was genuinely surprised at how menacing, even violent the opening scene with the Yeti was. It is a high credit to Douglas Camfield (one of the better Who directors over its long and illustrious pre-River Song history) that he build up such quietly intense scenes with an economy of lighting, music (using selections from Bela Bartok's The Miraculous Mandolin just like they were used in The Enemy of the World). Third, we have the introduction of the character who would be best known as the Brig. Sadly, Nicholas Courtney's first appearance as his soon-to-become fabled character is lost save for the audio, but it must have been a sign of how successful his character was that he was brought back in the future story The Invasion, and then continue growing and growing until he was basically a co-star, in particular during the Pertwee era. Allow me a small digression. Here is where the genius of the classic Who trumps the NuWho. 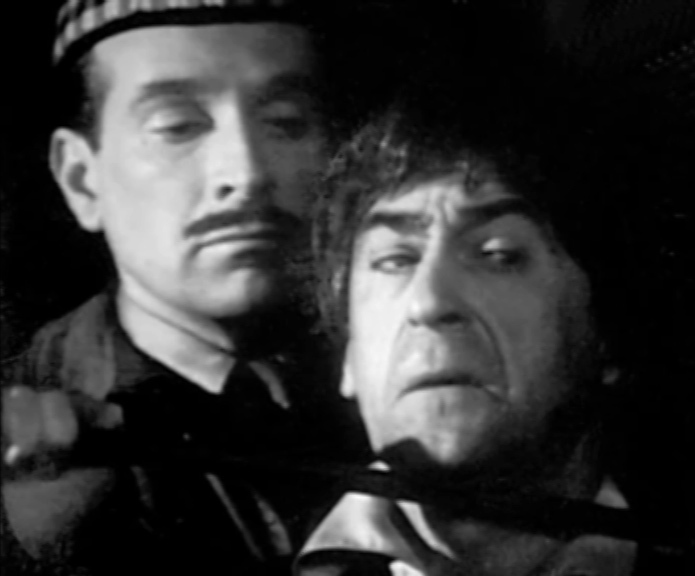 Certain characters, like Professor Travers and in particular Colonel, later Brigadier Lethbridge-Stewart, were allowed to grow and given time to build up a fan base. They were eased into the general thread (no pun intended) of Doctor Who. This isn't the case with NuWho. You have characters like Captain Jack Harkness almost given Icon Status in the DEBUTS! The nadir of this is of course, with my bete noir, one River Song. In her first story, Forest of the Dead Parts 1 & 2 (Silence in the Library/Forest of the Dead), we are all but told that she will become a GIGANTIC part of the Doctor Who mythos. Steven Moffat afterwards appeared obsessed with including her in as many stories as he could, and worse, making HER the center of the story or whole series/season. Things started revolving around her, not around the Doctor. He was becoming a supporting character in his own show, having to cede control to a character who could only say, "Hello, Sweetie," and "Spoilers." When we find that River Song herself is Time Lord-like (or thanks to having been conceived in the TARDIS, had Time Lord DNA--as idiotic an idea as ever to come from the mind of a supposed adult), right down to being able to regenerate, it became clear to me that River Song was being hammered into being this triumphant and vital Doctor Who character with whom the show simply could not survive. When she regenerated in the two-part story I call River's Secret Parts 1 & 2 (A Good Man Goes to War/Let's Kill Hitler), I believe future generations will say that was the moment River Song (formerly known as Doctor Who) officially jumped the shark. It was becoming more about River than it was about the Doctor, and when a small character now takes center stage over the title character, then it all but is over. Sorry about the digression, but it came to me the difference between a character that started out small and grew naturally in importance to where he becomes synonymous with Doctor Who and another that from the start was declared a work of genius despite all evidence to the contrary. The Web of Fear has some flaws overall. The red herring of the cowardly journalist being the traitor I think is too easy to dismiss (although I give co-writers Mervyn Haisman and Henry Lincoln for the wit in Episode Six, where the Doctor is appalled at the idea of being part of a television series) and Jack Watling's twittering, tottering old man might today be a touch over-the-top. Finally, one might wonder how he is The GREAT INTELLIGENCE if he keeps using the Yeti to work his nefarious scheme. On the whole, while I don't think the story could have supported a circa three-hour running time (very few stories could), The Web of Fear is a marked improvement over their previous adventure. Curiously, the door was always left open for a return, given that the Doctor didn't destroy him in the end. Could the Yeti rise once more? Going further into this Doctor Who retrospective, the following story, Fury from the Deep, has no complete surviving episodes, and the one after that, The Wheel In Space, is incomplete. However, that one also has a debut, this time of the Second Doctor's final companion, one Zoe Hariot. Remember that face on the left.